On April 1 and 2 the Azerbaijani military started to launch attacks on Armenian positions, resulting in casualties on both sides. The 20-year old Ezidi soldier Karam Sloyan from Armenia who was among the casualties was apparently beheaded. Pictures of Azerbaijani soldiers posing with Sloyan´s decapitated head surfaced on VKontakte, a popular social network in Eastern Europe. Soon after, an ISIS-like video emerged on the internet, showing Azerbaijanis holding the severed head of Sloyan like a trophy fish. 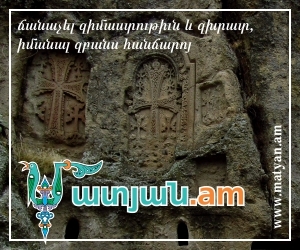 Sloyan came from the town of Ashtarak in Aragatsotn Province where many of Armenia´s Ezidis live. Similar clashes between Armenia and Azerbaijan erupted in December 2015, resulting in the death of Sidar Aloyan, another Ezidi who fought for Armenia. Turkey has in the meantime pledged its support for the Muslim-dominated Azerbaijan against Armenia.